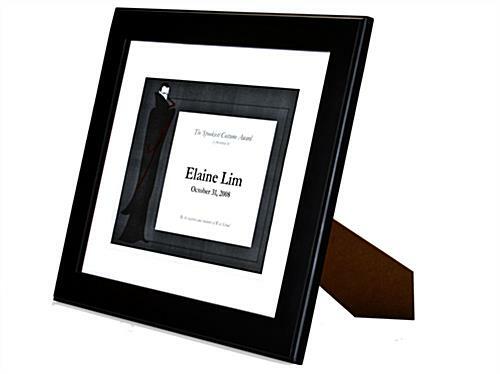 This Document Frame is Ideal for Awards! Many Other Sizes, Colors, and Styles are Available! Order This Document Frame by 1pm EST (M-F) to be Eligible for Same Day Shipping! 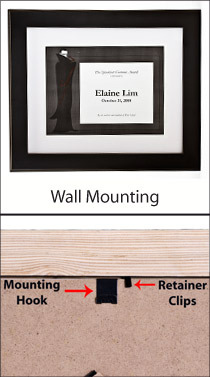 Document frame exhibits prints vertically or horizontally on a table or wall. Accommodates awards up to 13" x 10-1/2". Document frame comes with a glass lens to protect prints. Included a removable white mat to accent certificates. 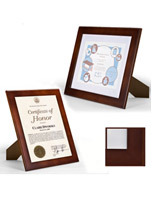 This document frame is also known as a certificate holder. This picture display can exhibit a variety of images. This document frame could also be a showcase for a child's artwork. This picture holder is a nice way to hang up various accomplishments. 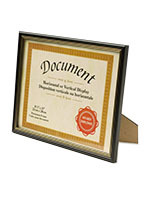 This document frame works best for the standard size certificate. This holder may display a photograph on the wall. In addition this is a document frame that could also be used on a desk. This holder for a certificate is constructed of wood. 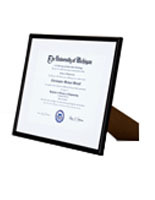 This document frame is made durable to last years of use. 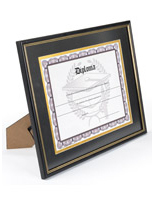 This certificate holder is a classic neutral black. 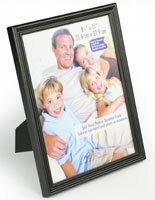 This is a document frame that will blend nicely with any décor. This picture holder could be presented with or without the matboard. The document frame protects the images. This holder for a certificate keeps the photos from getting torn and bent. The document frame is also available in many other variations. 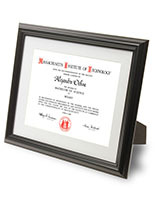 Order this certificate holder by 1pm EST today and it may qualify for same day shipping. The picture frames came in and looked even better then I had hoped. We received the frame as promised and will order from this company again. Very pleased.